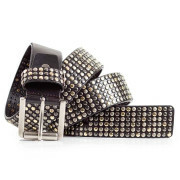 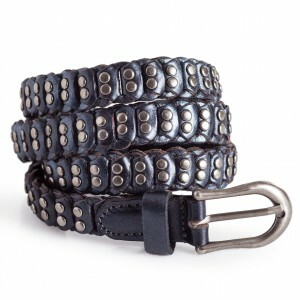 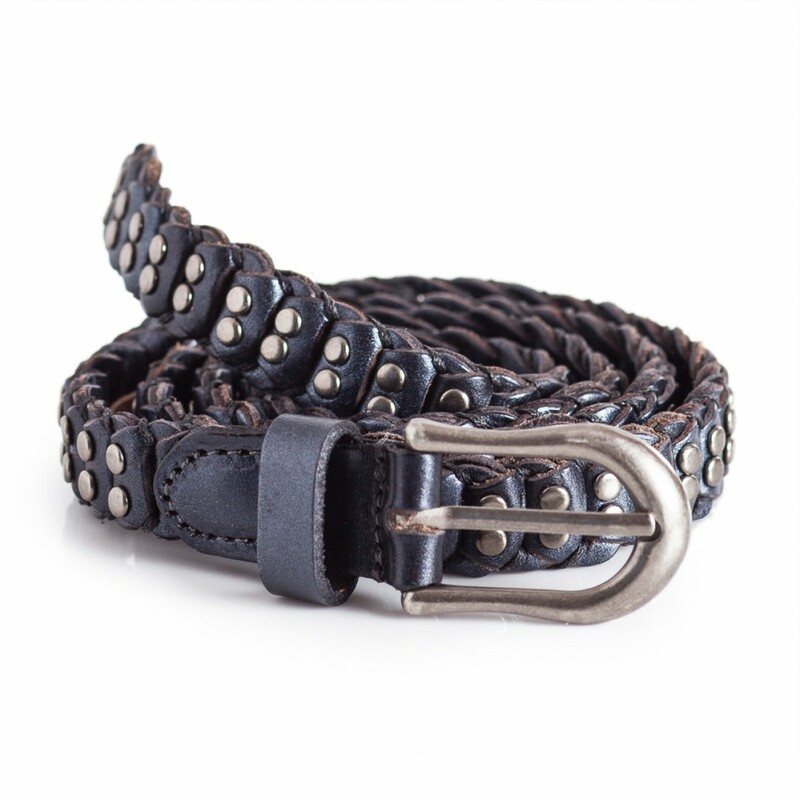 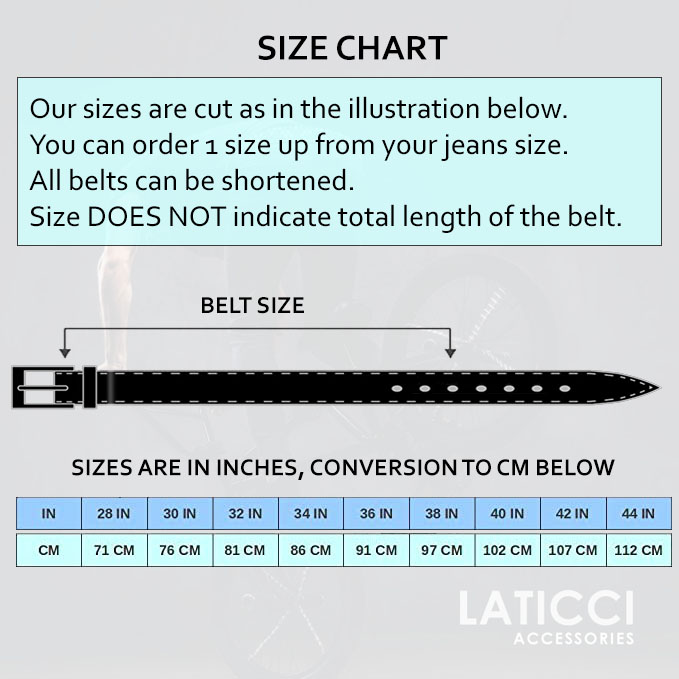 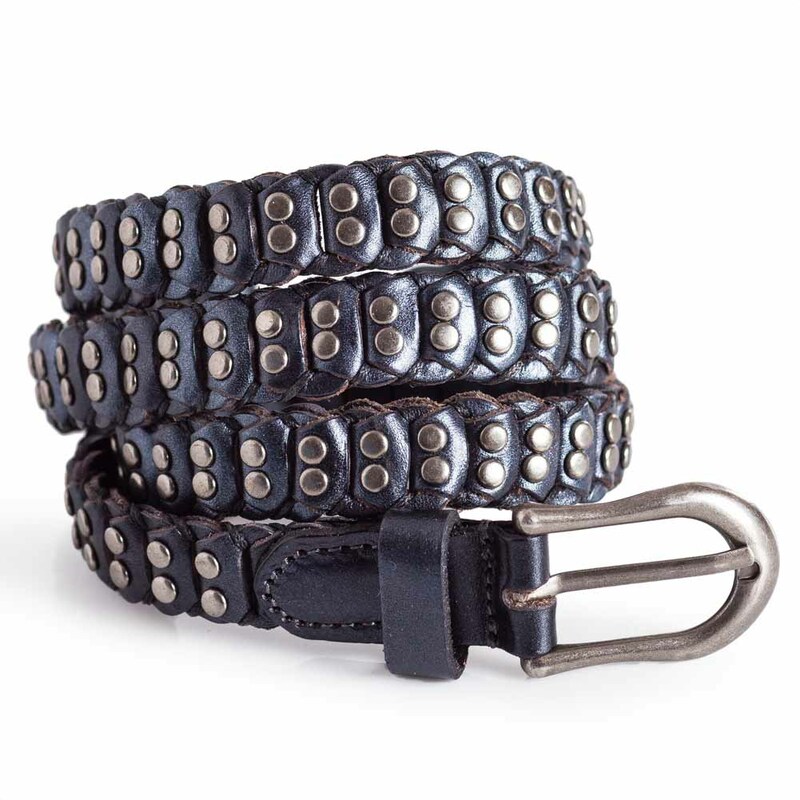 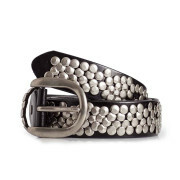 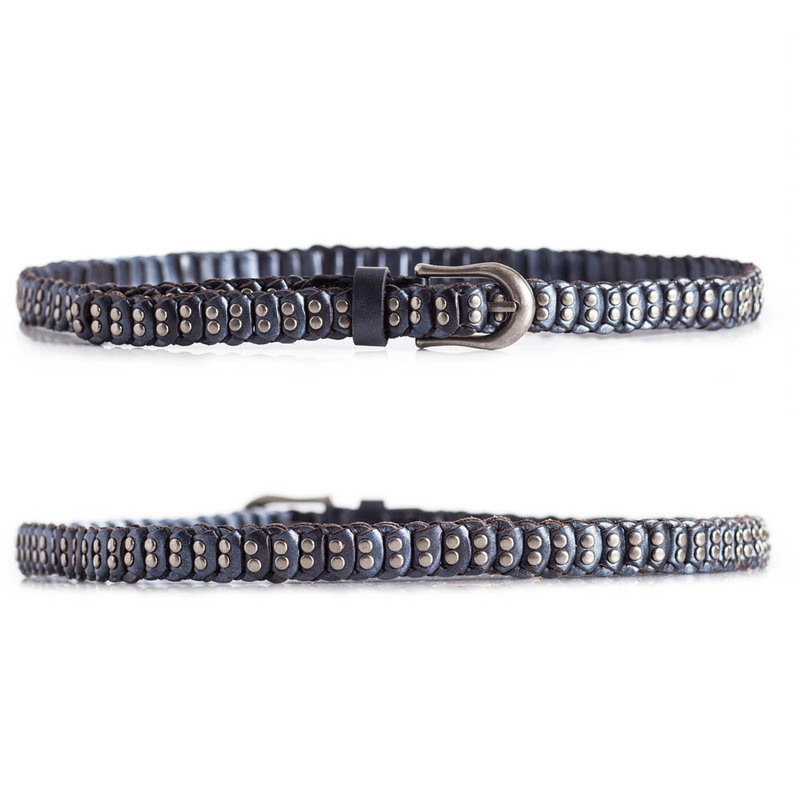 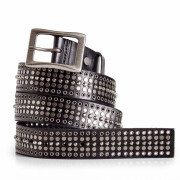 Womens skinny metallic blue leather belt with round studs. 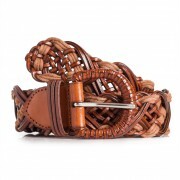 Elegant design of multiple leather pieces braided together. 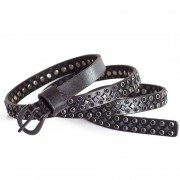 Material: 100% Full grain calf leather. 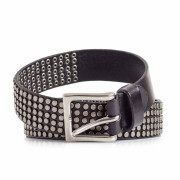 Silver color single prong buckle. 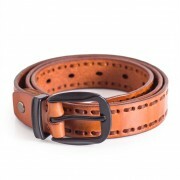 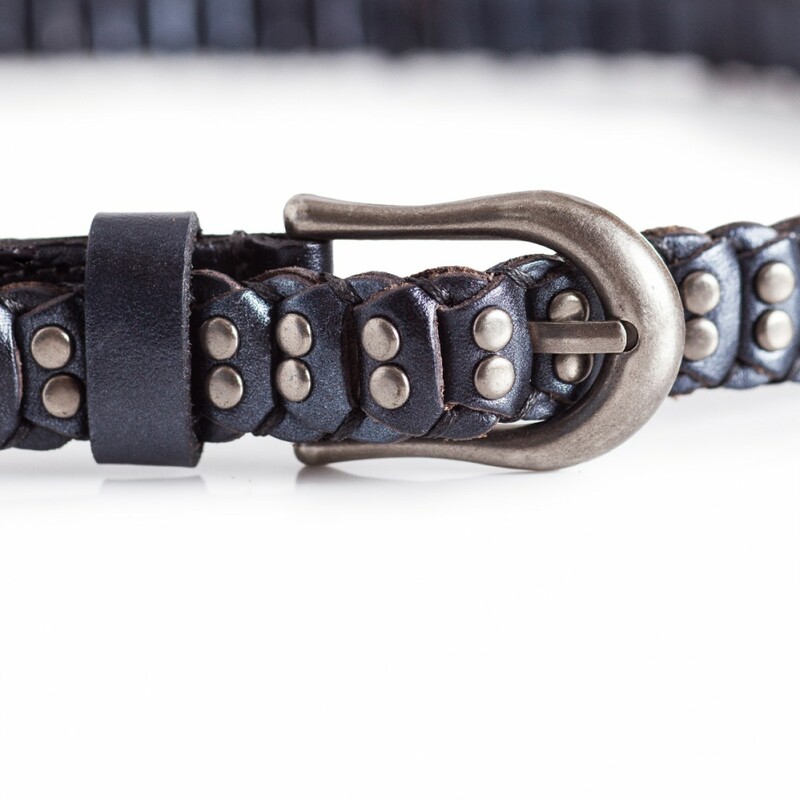 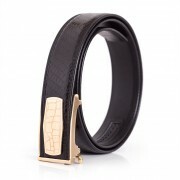 Quality guarantee: All our full grain leather belts are created with long term use in mind. 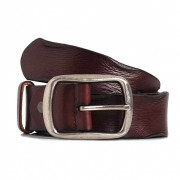 They are crafted using carefully selected high quality calf leather. 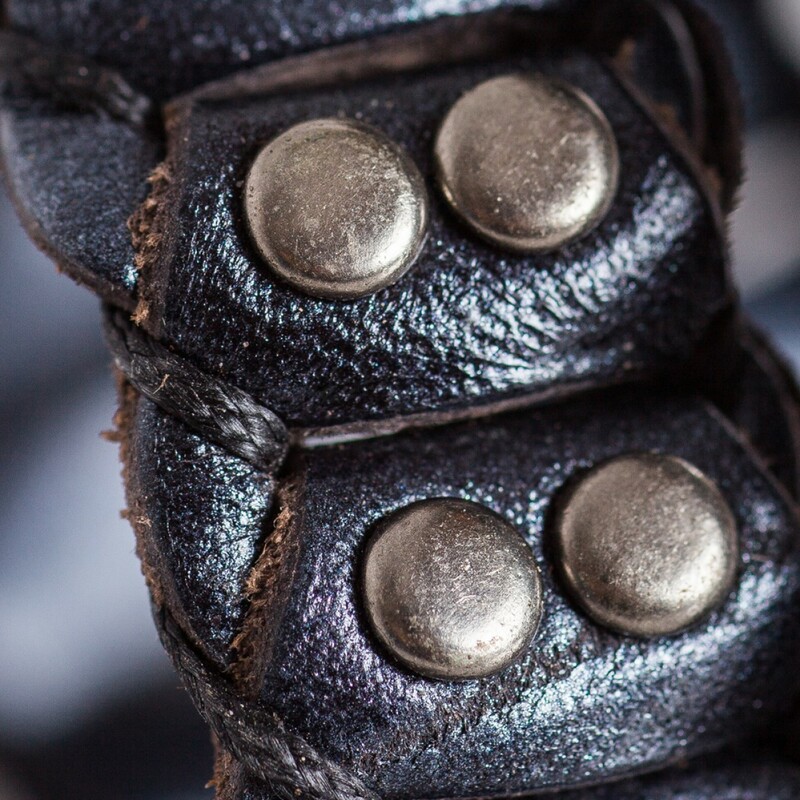 Care instructions: Wipe with damp cloth. 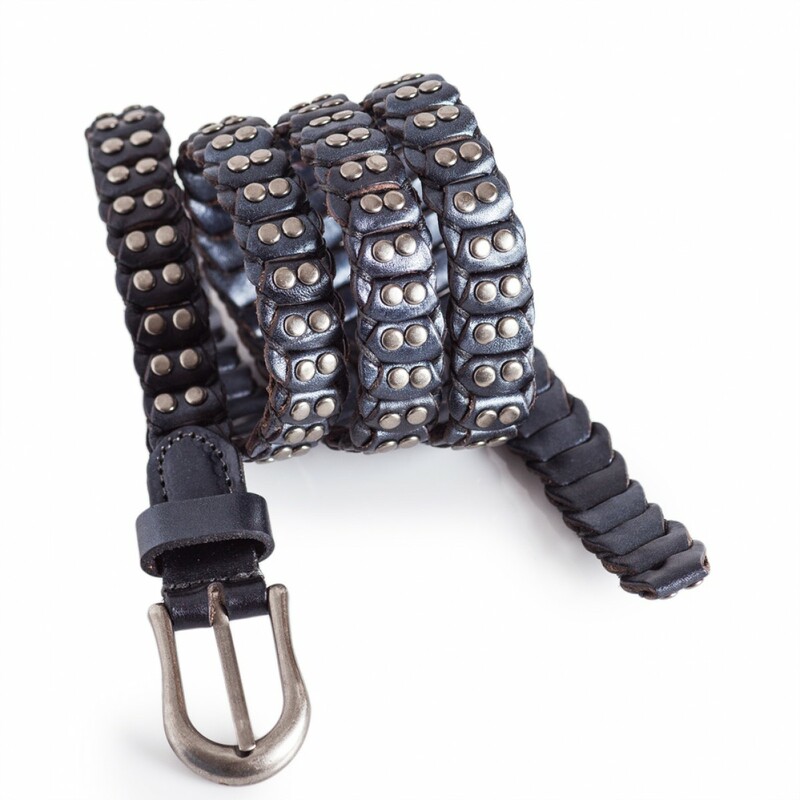 No soaking.